Don Valley Volkswagen is committed to supporting local communities across the GTA. We organize fundraisers year-round, and regularly donate to important charities in the region. We are particularly known for our support of the Movember Foundation. We are driven to support our community at Don Valley Volkswagen! Breathtaking. Exhilarating. Astonishing. Behold the ultimate spine-tingling joyride. With pure muscle under the hood, high-octane high-tech enhancements, and dazzling design sure to quicken your pulse. The 2018 Golf R is everything you're looking for in a performance hatch - provided you don't blink and miss it. Impeccable fit and finish. Unquestionably assertive, with sporty styling engineered into every detail. Where over-the-top performance meets understated elegance. After all, true drivers know – when you got it, don't flaunt it. Floor it. When the light fades outside, set the mood inside with customizable LED lighting accents on the door sills, footwells and centre console. Plus, its subdued, glare-free illumination makes navigating the interior a snap on night drives. While you're busy turning heads in your Golf R, these ingenious adaptive headlights are turning corners – even before you do. Brighter and more energy efficient than standard headlights, they scan 13 degrees left or right so you see more of what's ahead. These black painted brake calipers featuring the distinctive "R" logo are a subtle design cue with bold braking power. After all, if you have to slow down, you might as well look good doing it. With 4 different modes to choose from, your Digital Cockpit can display your fuel economy, range to next fill-up, estimated time of arrival, active driver assistance systems and more. Maintain a firm grip on the action in these exclusive "R"-emblazoned leather sport seats. Bolder, race-inspired, and bucket-style so driver and co-pilot can cruise with added comfort and style. The 2.0 TSI® engine pumps out the kind of power previously unimaginable from such a small displacement. We've upsized the turbocharger, and bolstered the cylinder heads, exhaust valves, and pistons. Bottom line? Top-tier performance – from 0 to 100 km/h in less than 5 seconds. The Golf R was born on the track. So maintaining a firm grip comes with the territory – in practically any territory. If 4MOTION® All-Wheel Drive detects slippage, more torque is directed to the wheels with the best traction for improved handling and control. This advanced system ensures your Golf R is a mover, not a shaker. It constantly adjusts suspension and steering according to road conditions and driving style. So you get the optimal ride with vibration dampening in your choice of preferred driving mode. The 2.0 TSI® engine pumps out the kind of power previously unimaginable from such a small displacement. We've upsized the turbocharger, and bolstered the cylinder heads, exhaust valves, and pistons. Bottom line? Top-tier performance – from 0–100 km/h in less than 5 seconds. For added hands-on control, luxurious leather dominates the handbrake and gearshift knob, along with multifunction steering wheel with manual-style paddle shifters, plus easy access to your music, phone, and trip info. The Cross Differential System (XDS) anticipates inside wheel spin, and actively directs power to the outside wheel. It all adds up to sportier, quicker, and more accurate cornering. Built for performance means engineered with safety systems that respond just as swiftly. So whether you're cruising on the open road, or manoeuvring in and out of tight spaces, you can count on a multitude of sophisticated safeguards for added reassurance. Just like it sounds, this cruise-control feature adapts to maintain a comfortable cruising speed and distance. Braking automatically kicks in when traffic slows, and cruising speed resumes when things pick up – all with your feet off the pedals. When you're focused on the road ahead, it's easy to miss what's beside or behind. Radar and sonar trigger driver alerts and employ braking to help address potentially tricky driving situations - invaluable assistance when changing lanes or parking. Innovation meets good road manners, automatically activating your headlights when darkness falls, and dipping them to help minimize harsh glare when sensors detect oncoming vehicles above 60 km/h. The Golf R never lags behind – even when you're backing up. Available Park Distance Control automatically engages in reverse gear, using ultrasonic sensors that alert you to obstacles up to 1.6 metres away with audible signals. In the 2018 Golf R, extraordinary performance is augmented by a full complement of innovative technologies designed to propel every drive to the next level. From premium audio, to first-class multimedia and navigation – even exceptional engine efficiency. Circuit-board smart. Racing-circuit inspired. Plug in your compatible smartphone to access select apps right on your dash. Just use App-Connect with Apple CarPlay™, Android Auto™ or MirrorLink™to control music, mapping, messaging, and more – all hands-free via voice commands. Everything about the Golf R is designed to deliver outstanding performance. And that includes the 400-watt Fender® Premium Audio System, belting out concert-quality sound through 8 perfectly placed speakers, for optimal dynamic range and sonic clarity. What's behind you? In the performance-geared 2018 Golf R, probably lots. Just in case you missed seeing it in your mirrors, or when turning your head, you get the picture with a cleverly concealed rearview camera. 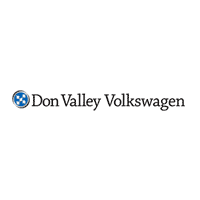 Don Valley Volkswagen	43.7259536, -79.3154463.